Fish Creek Moccasin is a small, family-owned business. 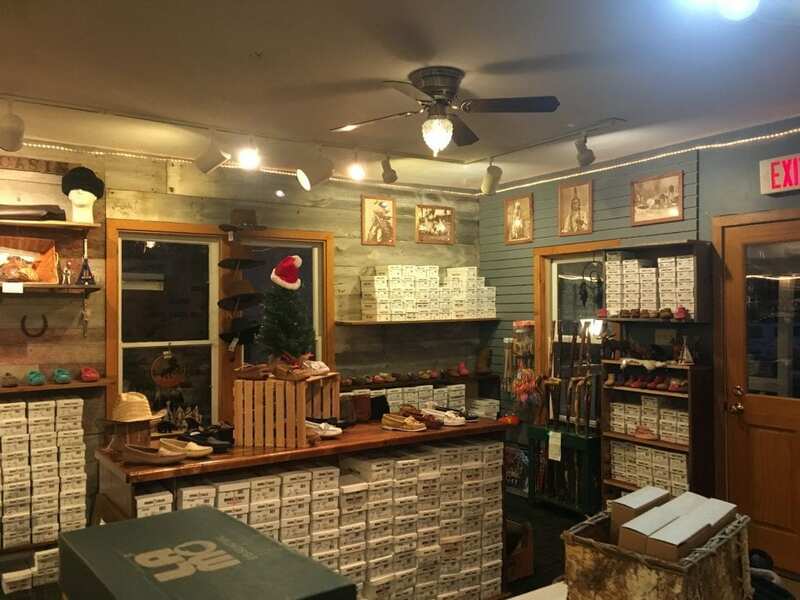 We offer a diverse selection of handmade leather footwear and custom leather goods. Fish Creek Moccasin was founded more than thirty years ago by Jim and Candy Yonker. We have developed a reputation for attention to detail, customer satisfaction, and high-quality leather footwear. Jim continues to make his very own moccasins by hand to this day. In our store we always have a large selection of Minnetonka Moccasin styles. We are an authorized dealer of their entire product line. 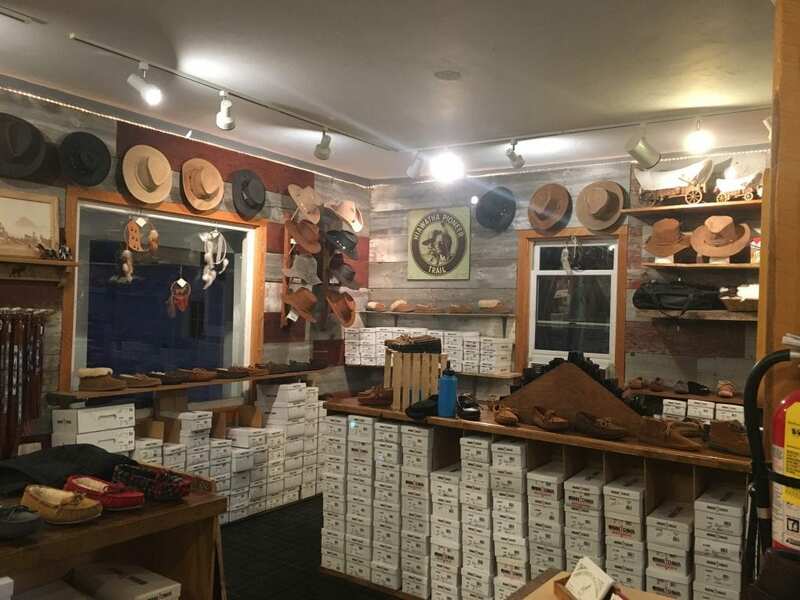 In addition to moccasins, we carry a lineup of other brands of leather goods and Door County souvenirs. Take some time to check out our new online store! If you have any questions feel free to contact us at 920-868-2100 for more info! For directions to our shop click here. In the beginning of 2018, Garrett Doubleday took over ownership of the business. He became intrigued by the business because of Jim’s moccasin-making abilities. Currently he is apprenticing under Jim to learn the craft of shoemaking. Garrett is spending time during the slower months of the year practicing leatherwork. Over time he will take over more responsibilities in the shoemaking process. Knowing that this is a trade that is unique he wanted to make sure it would be around for a long time here in Door County. Jim still makes moccasins for customers who are looking for a handcrafted product. 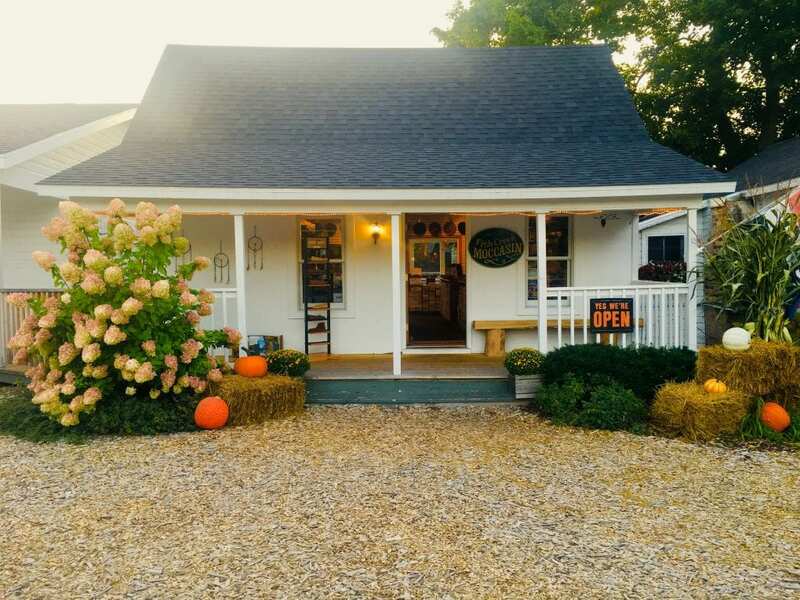 We are still located in Founder’s Square in Fish Creek, Wisconsin. We moved to the building behind our original location. The store is now facing the main parking lot off of Hwy. 42. When heading north on Hwy. 42 and down the hill into Fish Creek. We are at the end of the first parking lot on the left hand side of the road before you reach the corner.